Graphics & processing speed are awesome. Best laptop for gaming but lacks in quality for some other features such as webcam quality. The MSI becomes the first master mind in unveils a super new look and platform for the gamers. 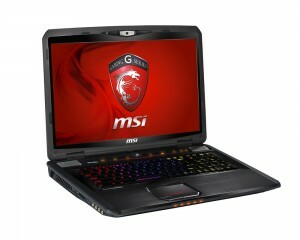 The MSI launches their first gaming laptop for the game lovers across the globe. The Laptops from MSI are AMD Richland with A10 versions of power house. The latest launched MSI’s gaming laptops have GS60 and GS70 armed with AMD Richland A10 power games. It has a super processor of 8970 M graphics features which gives the game lovers a real treat of real enthralling live gaming experience which they have never thought off. Earlier back in the last year MSI has announced that they are bringing a GS 60 gaming laptop based on AMD. But it was only in 21st May that the official refreshed full power pact gaming laptops from the MSI team in California was launched. The MCI Corp proudly boasts of their think tanks who are the first ones in their genre to build AMD Richland gaming laptops of GS 70 and GS60. The G series of MSI is the part of their very famous award winning series, all new GS60 and GS70 is a refreshed version brought by the MSI Corp with an advanced processor of A10. The up gradation of the processor has helped in bringing about a superior high quality visual graphics with the games than the perversions versions of MCI. The advanced powerful processor has also increased in the quality of battery life and durably by 40 % than the previous versions. Thus, it has given treat to the game lovers of visual, clarity, sharpness, better gaming experience and above all long standing battery. It has marvelous in built technology within it. With the powerful new AMD HD Radon™ and graphics capacity of 8970M. The 3D eye clarity technology is one of the added advantages of this gaming laptop from MCI as it gives a superior clarity of multiple display outputs to run at the same time without conflicting with the other. A great network for Game with E2200 where you can track the lagging time and a great keyboard with steel series powered with full backlight facility inbuilt in it. To give an irrevocable experience to the game lovers it has high definition ultra quality speakers and subwoofer jammed in. The G series of GS60 and GS70 can undoubtedly be one of the finest gaming laptop in the recent time not only for the professional gamers, but also for the new gamers who have just inclined towards it. One of the stunning features is that both these laptops come in with blue ray readers disc, giving it a full anti reflective HD screen. So if one wants to devote some quality hours can easily spend time in this game laptop without giving any strain to their eyes. Thus, if you are eager in experiencing a larger than life mobile gaming experience in the big screen than these laptops from MCI won’t let you down.